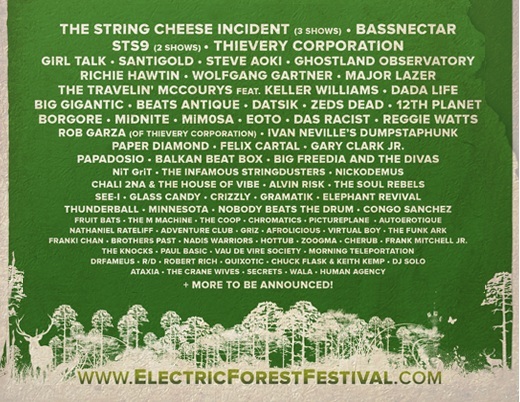 Get ready festi-heads Electric Forest Festival in Rothbury, Michigan is coming up in just two short weeks! This four-day festival starts on June 28th and rocks on until July 1st. Electric Forest Festival has a variety of music on 5 different main stages from jambands to all types of EDM from dubstep to progressive house. Some of the headliners on the lineup include The String Cheese Incident, Bassnectar, STS9, Thievery Corporation, Girl Talk, Steve Aoki, Ghostland Observatory, Wolfgang Gartner, Major Lazer, The Travelin’ McCoury’s featuring Keller Williams, Dada Life, Big Gigantic, Beats Antique, Datsik, Consirator, Zeds Dead, Borgore, MiMOSA, EOTO, Paper Diamond, Adventure Club and so so so many more! Click here for the schedule! 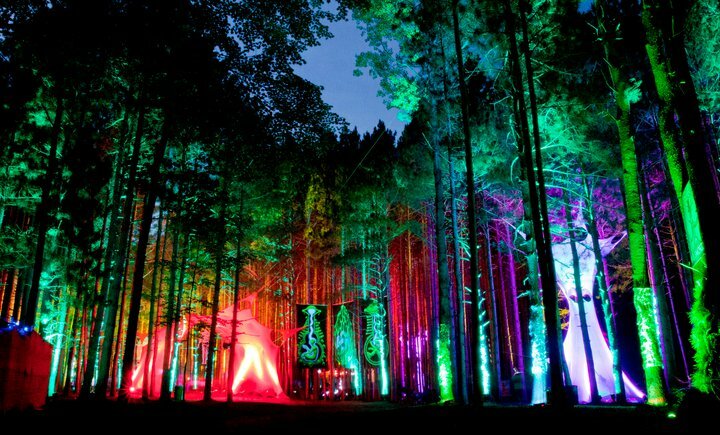 The Sherwood Forest features hammocks, art installations, and an unbelievable light display to enjoy at night. As if the music wasn’t enough, campers can also enjoy the golf course, Big Wildcat Lake, horseback riding, and glow in the dark disc golf. There is even a water park that’s just twenty bucks and a shuttle ride away! This festival really has it all. Tickets are still on sale; snag ‘em before it’s too late! This is a festival NOT TO MISS!